Reflections of a Grady Doctor: 48 hours. "Yet do I marvel. . . ."
Talked on the phone with my very pregnant best friend about what life would be like for her as a new mommy. Rounded with my team while admiring all of the staff who were wearing Santa hats. Smiled at a Respiratory Therapist who had his nose painted red like Rudolph. 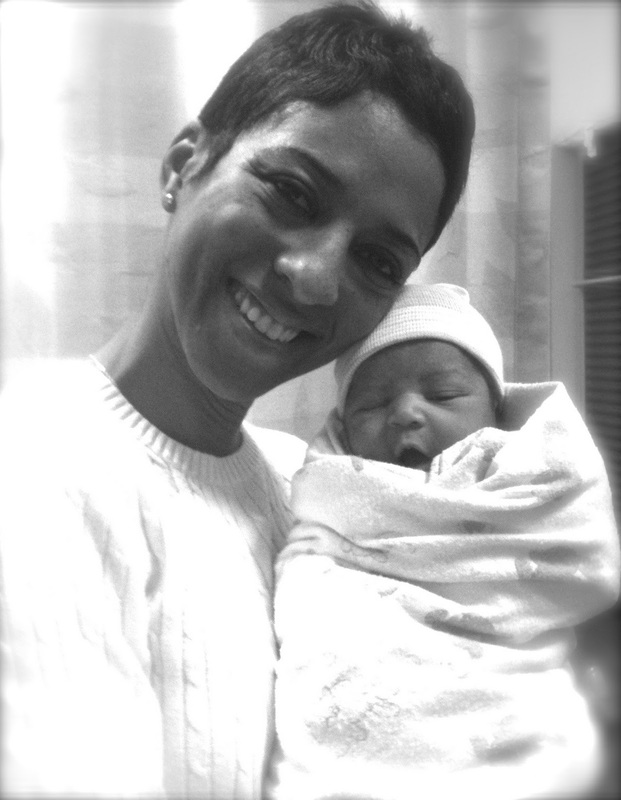 Thought about my friend Davina and her son, C.J., who was born on December 24. Told my friend Davina that I was thinking of her and her son C.J. who was born on December 24. Also brought down extra blankets and gourmet caramel apples (sliced, please)--upon Isaiah's request. Realized that although I've read The Polar Express to my children five trillion times, I had never seen the movie until then. Decided that even though I liked The Polar Express book better, being snuggled under blankets in new P.J.s with my husband and my kids made that fact an easy one to ignore. Wrapped gifts until 2 a.m. Went to CVS to get batteries and a gift card at 2:05 a.m. Watched the wonder of Christmas through the eyes of a four year old and a five year old. Thought about my mentor, Neil W. and his wife, Tamara, whose son, Matthew, was born on December 25. Remembered praying for Neil and Tamara to have children, and felt warm inside imagining what a difference a day (and a prayer) makes. Went to see the Yogi Bear movie on Christmas, which was not anywhere close to as enjoyable as The Polar Express. Almost cried when Zachary squealed, "This is the best Christmas EVER!" Wanted to go to sleep hugging the glorious red Tory Burch totebag my husband gave me for Christmas. Decided to go to sleep hugging my husband instead. 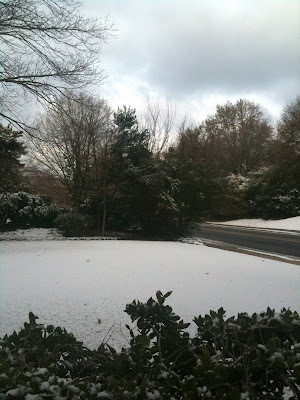 Watched the wonder of snow on the ground through the eyes of a four year old and a five year old on the morning after Christmas. Drove in that wonder-ful snow and into Grady for post-call rounds. Despite having to work over the holidays, was reminded repeatedly of why I love, love, love my job. Received a text that my best friend had her baby--that our other best friend (Tracey, the world's greatest OB-Gyn) delivered. Sigh. 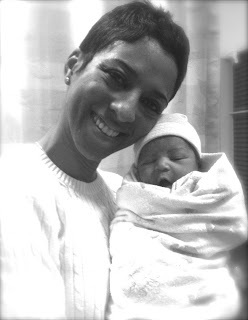 Remembered when Tracey delivered Isaiah and Zachary -- and smiled. Remembered when Tracey and I were clueless medical students -- and smiled again. Left Grady Hospital. . . .and headed to the other hospital. . . .
. . . .where I talked and hugged and laughed with my newly post-partum best friend about what life would be like for her as a new mommy. Married to a new daddy. Received a text that one of my very ill patients passed away as I was rocking my new god-son in the mother-baby unit at the other hospital. Ran into my best friend's mom on the way out and wanted to cry when we talked about what life would be like for her as a new grandmommy. Hugged her tight and felt her joy run through me. Reached Grady and was surprised at how quiet it was when I walked back into the building. Stepped off of the elevator and immediately heard voices. Joined what looked like a tear-filled family reunion with all of my patient's loved ones. Hugged them all one by one. Thanked them for trusting our team to care for their loved one. Reached my patient's granddaughter last, who never left her grandmother's side for the entire hospitalization. Hugged her tight and felt her pain run through me. Quietly whispered in her ear, "Thank you for teaching me to be a better daughter and granddaughter." Felt her hug me tighter and told her I meant that. Was again stunned by the stillness of the hospital as I headed toward the exit. Felt the tiny snowflakes on my cheeks and the blistering cold on the walk to the parking garage. Sat in my frigid car for a moment. . . .taking in the wintry silence. Reflected on the last 48 hours of life and love full circle. Cried and cried. All the way home. I know it might not really be your style, but have you ever heard the song 'Lightning Crashes' by Live? I think that perhaps you might be able to really relate the lyrics to your life over the past few days. This one made me cry. Thank you! (I think... :) ) Merry Christmas and Happy New Year to you! There is light, love and beauty in your words, which is undoubtedly a reflection of what you carry within you. Merry Christmas (belated) and a Happy New Year to you and all those you cherish, and may all 365 days of it be filled with health, light, love and beauty. I simply love this POST, I love it! It reminded me that in a minute of time and space "Life just Happens". Thank you, and keep them coming!